Dorothy Jones was born June 12, 1870 in South Trenton, NY, to Edward G. Jones of Wales and Ann Lewis Jones of NY. She was one of 13 children, 9 of whom survived to adulthood. Little is known about her early years other than her education at Whitesboro, NY. At age 24 she married Walter J. Bartlett in New York Mills, NY, June 5, 1895. She was described as brilliant, vivacious, and stubborn, all traits which made her an asset to the women’s suffrage movement, which she joined in 1913 as the first suffragette from Windham county. In 1917 at the picket lines in front of the White House, she was surrounded by other women bearing banners with slogans, while she happened to be holding an American Flag. As President Woodrow Wilson and other officials approached the group, a police officer demanded she give him the flag. She stalwartly refused and was arrested. The women were sentenced to 60 days in the Occoquan Workhouse or a $25 fine, which nearly all refused to pay. “Some of the things we were subjected to would bring the blush of shame to the cheek of any true American,” she recalled. “We even were refused permission to buy, with our own money, milk and eggs that were needed by us to protect our health after being nauseated by feeding on wormy cereals and tainted meat. Men prisoners were allowed the privilege of buying tobacco and cigars because ‘it was not against the law,’ but there were no such favors for us.” During her time there she lost 13 ½ pounds. The workhouse superintendent was tyrannical and would revoke prison privileges over the slightest offenses such as complaining about the lack of fresh air. Their quarters were vermin-infested and unsanitary. “Why they even took away my wedding ring,” she said. After her 60 day imprisonment, Dorothy made it her mission to make her experiences public knowledge. “The story of what we have been through has never been fully told, but I shall go from one end of the state to the other and I shall tell it to all who will hear,” she said. Her shrewdness and political savvy were essential in gaining publicity for the suffrage movement. She was the first woman from Windham County, CT, to be elected to the General Assembly and remained there for six terms. She was a force to be reckoned with in the Legislature. She became friendly and conversed with Eleanor Roosevelt. She was a member of the Putnam Board of Education for 12 years. She was member of the Windham County Inquiry Board. 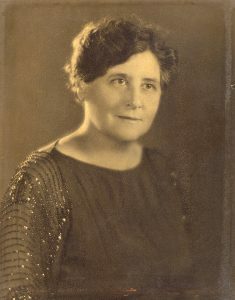 She was the first president of the County Democratic Federation of Women’s Clubs. Sources: A Modern History of Windham County Connecticut, A Windham County Treasure Book. Volume II, edited by Allen B. Lincoln. Chicago: The S. J. Clarke Publishing Company, 1920. “Good Afternoon- A Personal Chat with Art McGinley.” The Hartford Times (Hartford, CT), March 27, 1941. “Putnam, Mrs. Dorothy J. Bartlett Narrates Experiences in Workhouse and District Jail With Other Pickets Arrested in Washington.” The Norwich Bulletin (Norwich, CT), Nov. 7, 1919, p. 9. “Jail at Brooklyn Superior to D.C. Institution.” The Norwich Bulletin (Norwich, CT), Nov. 17, 1917, p.15. “Putnam.” The Norwich Bulletin (Norwich, CT), April 16, 1919, p. 11. “Mrs. Bartlett Dies; Served in Assembly.” The Hartford Courant (Hartford, CT), July 22, 1956. p. 6B. Photo from family collection.